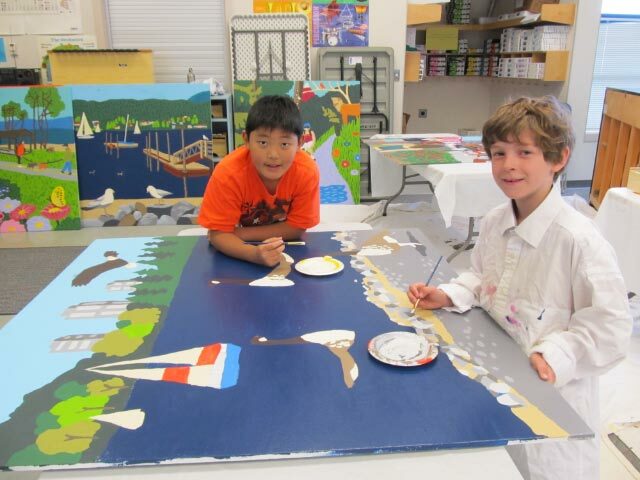 Each year, ArtStarts has the great pleasure of helping schools bring professional artists into their classrooms for a wide range of integrated arts programs and long-term residencies through our Artists in the Classroom program (formerly known as Artists in Education 2 or AIE2). This past year, we were fortunate to be in the position to fund even more projects that we'd hoped, due to generous support from our proud community partner, Westminster Savings. 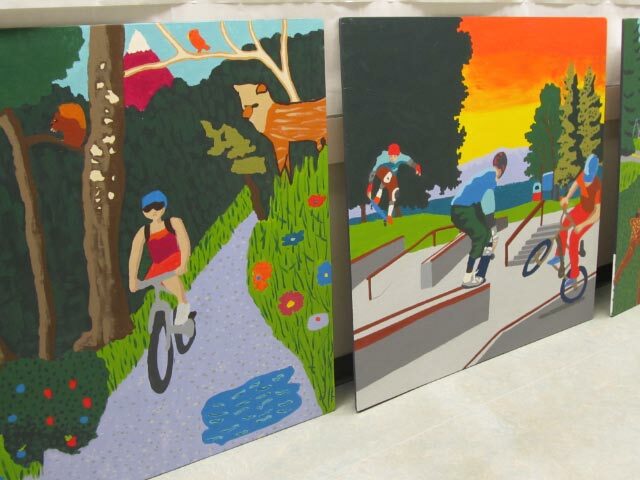 One of these projects was a school mural project undertaken this Spring by Heritage Mountain Elementary in Port Moody. 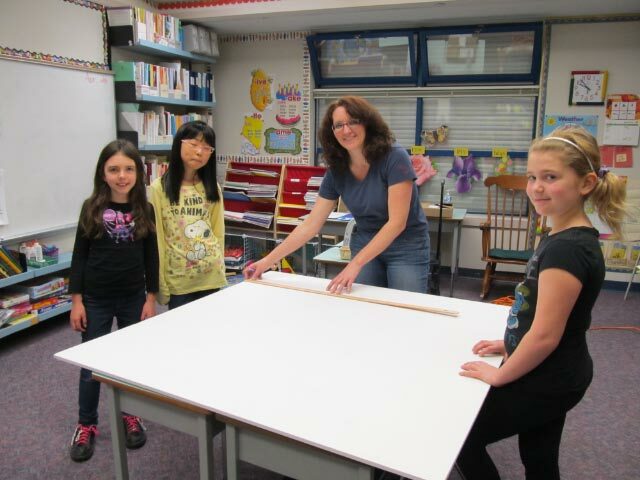 From late March to early June, local artist Tammy Pilon worked with a group of Grade 4 students two days a week. Together, they brainstormed ideas for images that represented their community, and developed sketches for a series of panels. 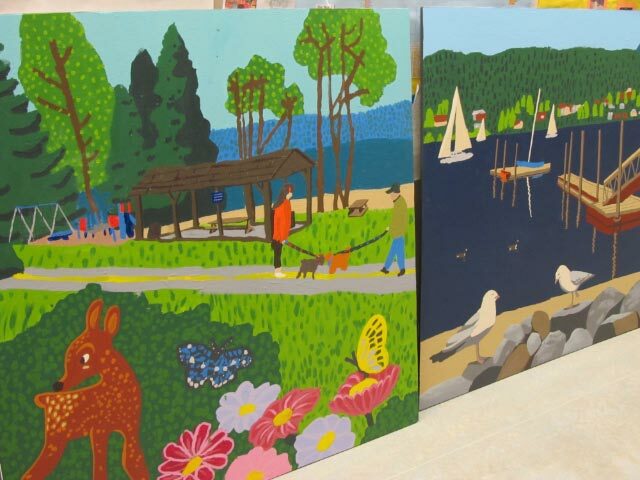 The images were then projected and traced onto 12 large pieces of plywood, which groups of students then brought to life with colourful painting. The murals were installed on the Heritage Mountain Elementary''s retaining wall. Just before the end of the school year, the students, teacher and artist came together with friends, family and school trustees and members of the community to celebrate the project and the vibrant artwork that was created. 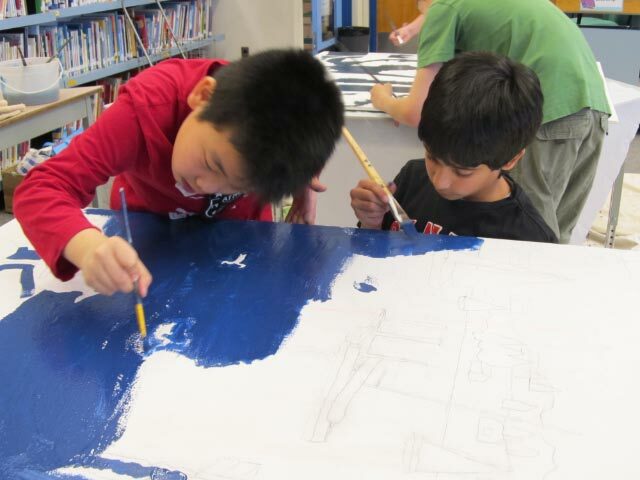 "I think it''s really amazing that we are leaving behind a legacy that will be here for years to come," said Grade 4 student Anja Frohnsdorf, who painted one of the panels. "People who used to walk through here never stopped to look. 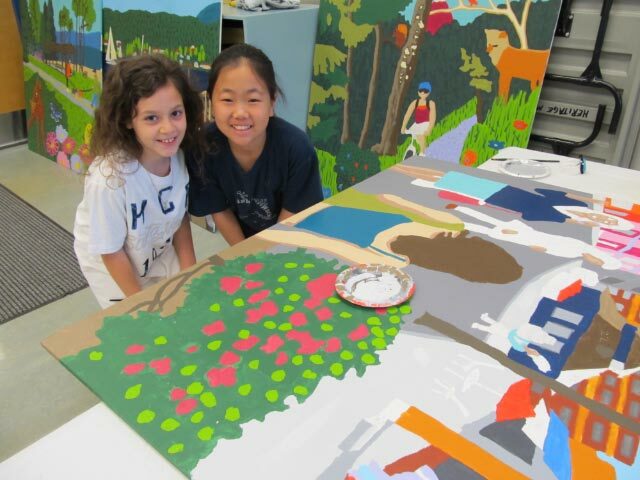 Now they will because it''s beautiful," said her friend, Rula Hasan, who is in Grade 4 and another one of the student painters. 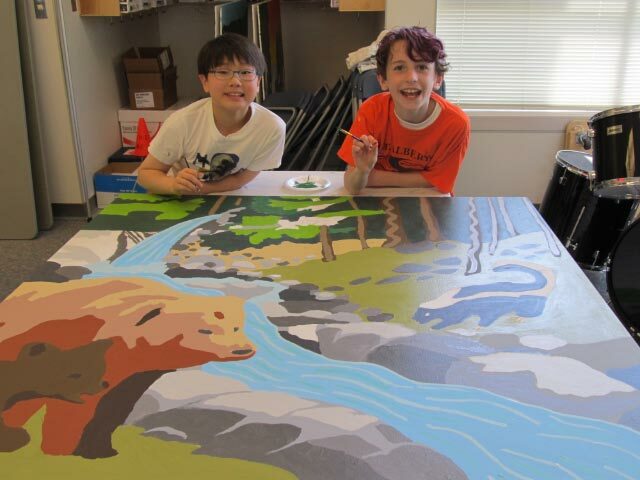 With the murals in place, Heritage Mountain Elementary now boasts a beautiful outdoor art gallery and classroom environment for students where they can take part in art classes, living Science lessons, or just enjoy a place to write quietly. In September 2012, a central community garden will be planted below the murals which to grow flowers and vegetables. "It has been amazing to see them experience the world of art in such an immediately rewarding project as their peers compliment them on their work every time they come by. 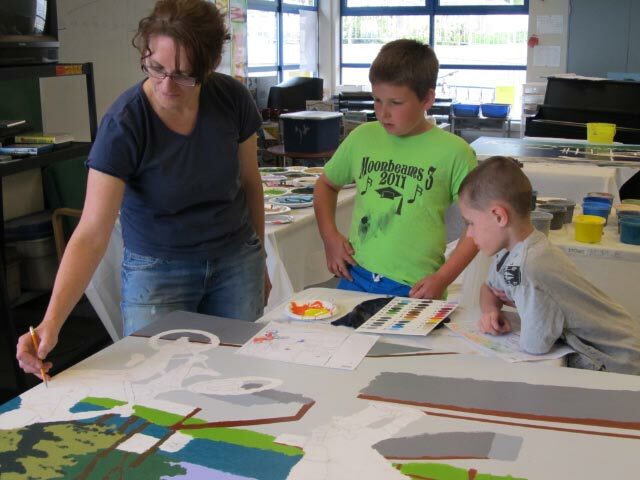 It has certainly increased their confidence in their artistic abilities that will hopefully create a long lasting impression that will continue to influence their art making in the future." Congratulations to everyone involved in the making this project a sucess, and thanks again to Westminster Savings for their generous support. 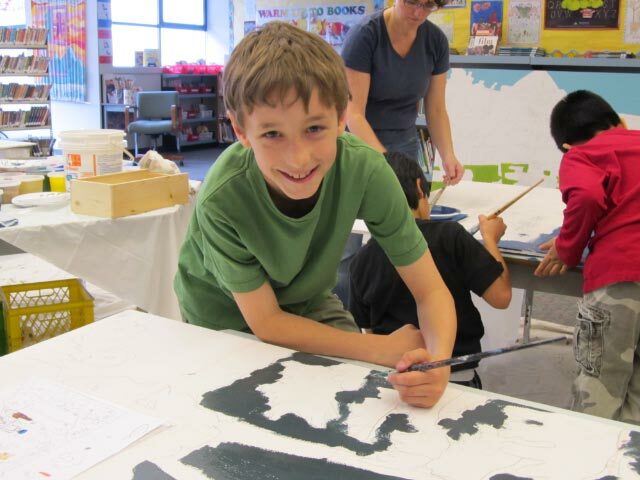 The deadline for schools to apply for the next round of Artists in the Classroom grants is October 5, 2012. Find out more about the program and how to apply here.